With the last leaves clinging to bankside foliage, shoulder-season itineraries can turn subzero fast. 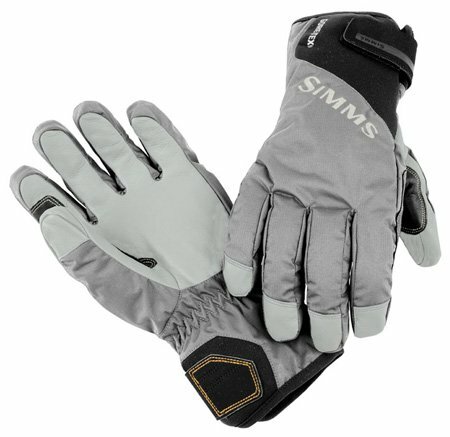 Spare your hands from a wintry blast and fish out the day in Simms fully waterproof/breathable ProDry™ Glove, powered by Gore-Tex®. 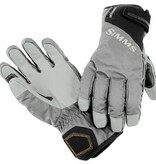 Heat-trapping generating glove internals start with a removable stretch-fleece liner for hands in need of respite, while half-finger engineering maximizes line management and knot tying capabilities. Goat leather palms are durable and ultra-grippy when wet, and paneled neoprene gauntlet cuff keeps encroaching water from migrating where it doesn’t belong.